According to the Fugitive Economic Offenders Act, 2018 a fugitive economic offender is a person against whom an arrest warrant has been issued for his or her involvement in economic offences involving at least Rs. 100 crore or more and has left India to avoid prosecution. The investigating agencies have to file an application in a Special Court under the Prevention of Money-Laundering Act, 2002 containing details of the properties to be confiscated, and any information about the person’s whereabouts. The Special Court will issue a notice for the person to appear at a specified place and date at least six weeks from the issue of notice. Proceedings will be terminated if the person appears. If not the person would be declared as a Fugitive Economic Offender based on the evidence filed by the investigating agencies. The person who is declared as a Fugitive Economic Offender can challenge the proclamation in the High Court within 30 days of such declaration according to the Fugitive Economic Offenders Act, 2018. The Prevention of Money Laundering (PMLA) court in Mumbai has declared Vijay Mallya as a Fugitive Economic Offender. Vijay Mallya is the first businessman to be charged under the new fugitive economic offender’s act 2018. Panda bonds are Chinese renminbi-denominated bonds from a non-Chinese issuer, sold in the People’s Republic of China. The first two Panda bonds were issued in October 2005 by the International Finance Corporation and the Asian Development Bank on the same day. The Philippines issued its inaugural Panda bonds in 2018. It was the first ASEAN member to issue Panda bonds. Why in news? Pakistan has decided to issue Panda Bonds. Consumer Price Index (CPI) is based on the final prices of goods at the retail level. Because of the wide disparities in the consumption baskets for different segment of consumers, India has adopted four CPIs. In India, RBI uses CPI (combined) released by CSO for inflation purpose with base year as 2012. The number of items in CPI basket include 448 in rural and 460 in urban. Wholesale Price Index (WPI) is based on the price prevailing in the wholesale markets or the price at which bulk transactions are made. Base year has been changed from 2004-05 to 2011-12. GDP: Gross Domestic Product (GDP) is the total money value of final goods and services produced in the economic territories of a country in a given year. GNP: Gross National Product (GNP) is the total value of goods and services produced by the people of a country in a given year. It is not territory specific. If we consider the GNP of India, it can be seen that GNP is lesser than GDP. A buyback is a mechanism through which a listed company buys back shares from the market. A buyback can be done either through open market purchases or through the tender offer route. Under the open market mechanism, the company buys back the shares from the secondary market while under tender offer, shareholders can tender their shares during the buyback offer. Historically, most companies had preferred the open market route. 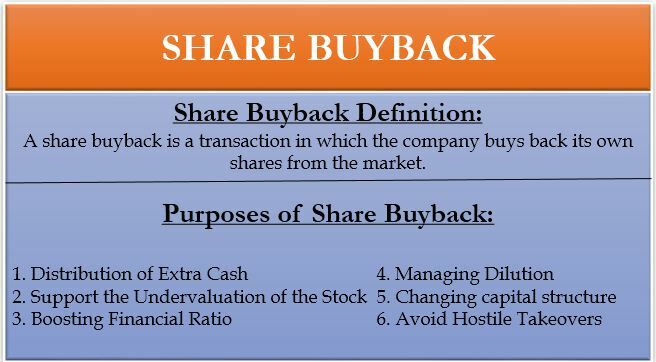 Buybacks are typically done when a company has a significant cash reserve and feels that the shares are not fairly valued at the current market price. Since the shares that are bought back are extinguished, the stake of the remaining shareholders rise. Promoters also use this mechanism to tighten their grip on the firm. Since the bought back shares are extinguished, the earnings per share (EPS) rise by default. Also, since a buyback is usually done at a price higher than the then prevailing market price, shareholders get an attractive exit option, especially when the shares are thinly traded. It is also more tax-efficient than dividends as a way to reward shareholders. How can a company execute a buyback? A company can use a maximum of 25% of the aggregate of its free reserves and paid-up capital for a buyback. A special resolution needs to be passed at a general meeting. However, if the company plans to use less than 10% of its reserves then only a board resolution is required. Can a firm opt for regular buybacks to boost EPS? A company cannot do a second buyback offer within one year from the date of the closure of the last buyback. Also, there are time-bound limitations on further share issuances like preferential allotment or bonus issue post a buyback. These checks have been put in place so that companies do not misuse the buyback mechanism. P-notes are offshore/overseas derivative instruments (ODIs) issued by registered foreign portfolio investors (FPIs) to overseas investors who wish to be part of the Indian stock market without registering themselves directly. 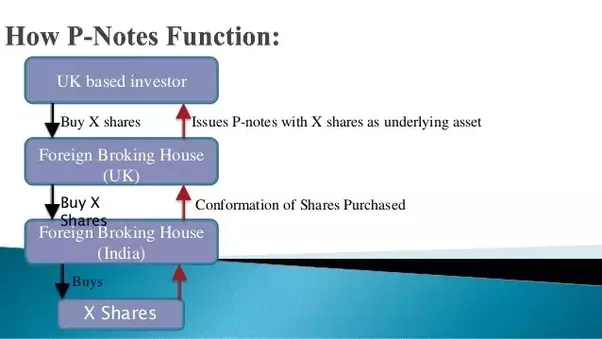 P-Notes are not used within the country but are mainly used outside India for making investments in shares listed in the Indian stock market. SEBI had permitted FIIS to participate and register in the Indian stock market in 1992. Earlier, investing through P-Notes is very simple and is very popular amongst FPIs, FIIs. Note: Investments through participatory notes (P-notes) into Indian capital markets- equity, debt, and derivatives have plunged to over nine-year low due to stringent SEBI norms. Safeguard Duty is tariff barrier imposed by government on the commodities to ensure that imports in excessive quantities do not harm the domestic industry. Why in news? 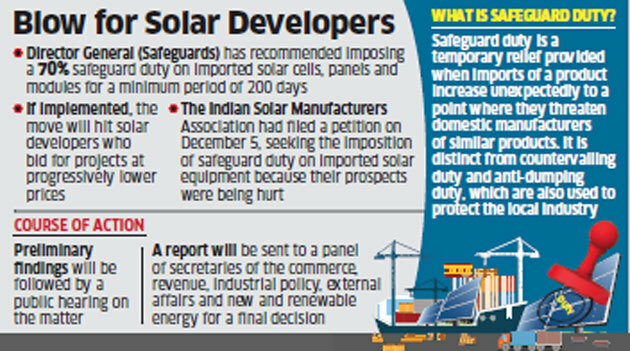 India has imposed safeguard duty of 25% on import of solar cells (whether or not assembled in modules or panels) from China and Malaysia. The GDP deflator, also called implicit price deflator, is a measure of inflation. It is the ratio of the value of goods and services an economy produces in a particular year at current prices to that of prices that prevailed during the base year. 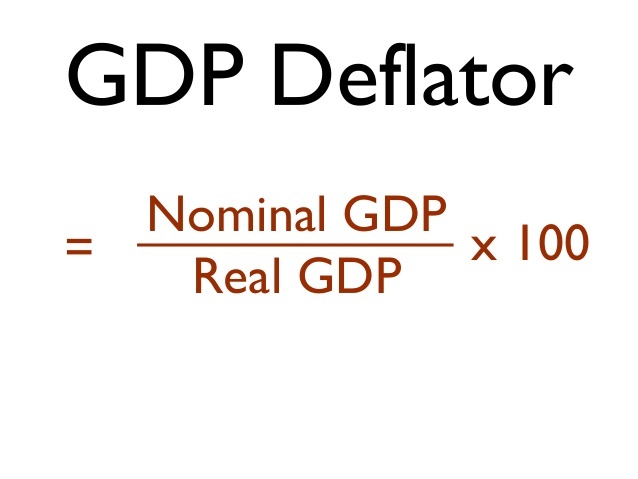 GDP price deflator measures the difference between real GDP and nominal GDP. Nominal GDP differs from real GDP as the later doesn’t include inflation, while the former does. Why GDP deflator is a better measure of inflation than CPI / WPI? A consumer price index (CPI) measures changes over time in the general level of prices of goods and services that households acquire for the purpose of consumption. However, since CPI is based only a basket of select goods and is calculated on prices included in it, it does not capture inflation across the economy as a whole. The wholesale price index basket has no representation of the services sector and all the constituents are only goods whose prices are captured at the wholesale/producer level. Changes in consumption patterns or introduction of goods and services are automatically reflected in the GDP deflator. This allows the GDP deflator to absorb changes to an economy’s consumption or investment patterns. Often, the trends of the GDP deflator will be similar to that of the CPI. Drawback: GDP deflator is available only on a quarterly basis along with GDP estimates, whereas CPI and WPI data are released every month. It means the value of imports of goods/services/investment incomes is greater than the value of exports. It is sometimes informally referred to as a trade deficit. The major contributor to India‘s Current Account Deficit (CAD) has been imports of Gold and Crude Oil. Sustained period of CAD has led to currency depreciation, high rates of inflation which further effects the incoming foreign investment. 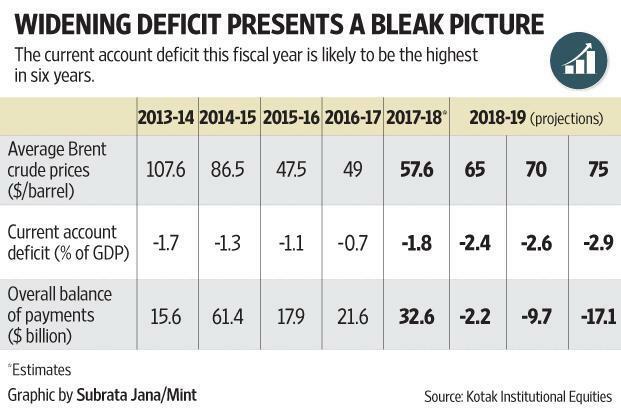 Fall in gold imports and lower oil import bill in recent time led to shrinkage in the deficit. A current account surplus means an economy is exporting a greater value of goods and services than it is importing. There is no hard and fast rule about what will happen if a country has a current account surplus. It depends on the size of the current account and the reasons for the current account surplus. In the case of India, slow growth in imports, reflecting the persisting weakness in the investment sentiment, is the prominent reason behind this. India’s current account moved in to surplus in the April-June quarter of the current fiscal year after a gap of 9 years. India’s CAD narrowed during 2016-17 fiscal owing to a contraction in the country’s trade deficit. Country’s trade deficit narrowed down to $112.4 billion in 2016-17 from $130.1 billion in 2015-16.